Hear Ye! Hear Ye! 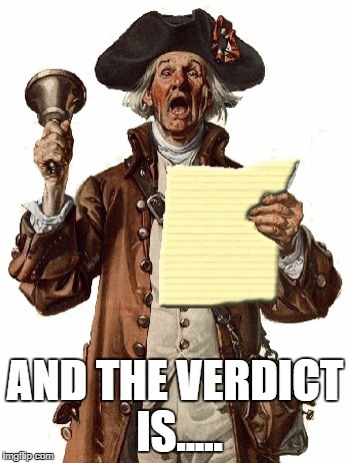 Blaine’s verdict is in! According to the FNP he was found guilty on all three charges. However, since it’s a misdemeanor, all he will get is probation before judgment and a $200 fine. According to the article, Blaine claims he was going to the hotel to get a massage! Thankfully the judge did not buy that line of nonsense! We’ll have some good reporting on tonight’s human trafficking workshop where hopefully we can come up with some good solutions to this very real problem. Previous postYou broke our poll record!! Now it’s time for a new one!